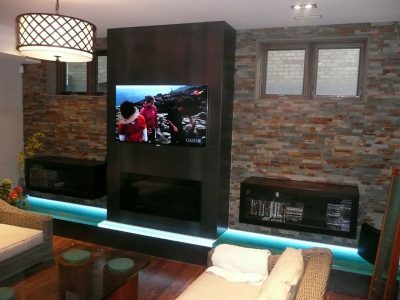 Having a fireplace in your home or office usually makes it a focal point of the room. 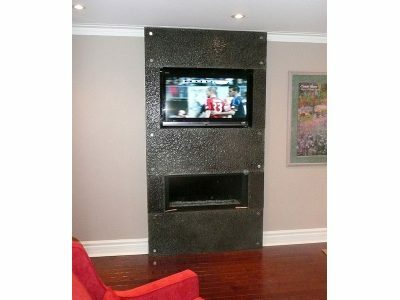 However, if not properly styled, your fireplace can look dull and insignificant. 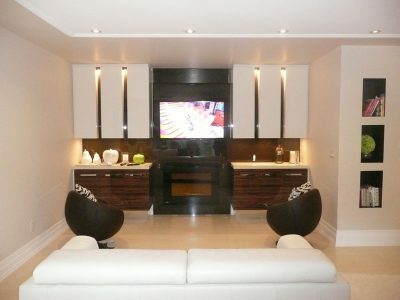 Let CBD Glass complete the look of your room by designing and installing one of our beautiful glass pieces. 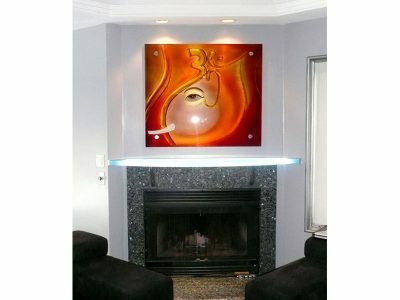 It will highlight your fireplace and create a soothing, relaxing atmosphere in the room. 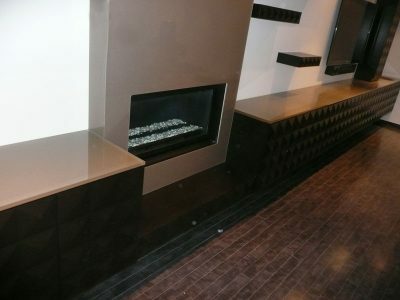 As any of our products, glass fireplace can be custom made to fit into your home or office. 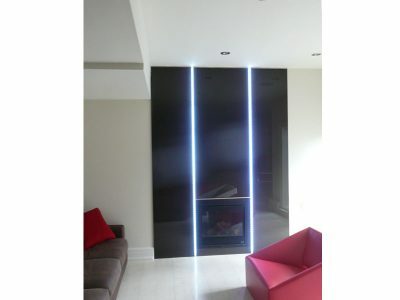 For a sleek, stylish, contemporary look, use backpainted glass with no texture. 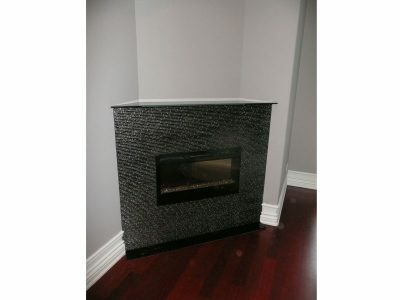 It will accent your fireplace and make it a focal point in the house/office. If you want more of a dramatic effect around your fireplace, you can use any texture, combined with any colors that we offer. If texture and color is still not enough for you, we can always custom make any design on the glass, such as picture GF10 and GF15. 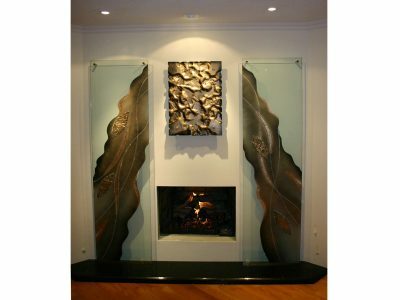 The glass around your fireplace can also be any shape, which makes it even more interesting, like shown in picture GF15. There are endless possibilities when it comes to our product, and we will be more than happy to assist you.